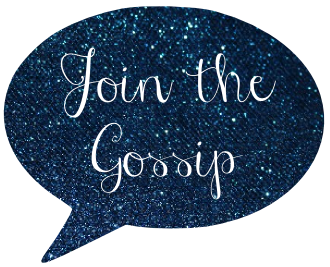 Have a great weekend and don't forget to come back on Monday to link up for my weekly bloghop, Monday Morning Gossip. You can blog about anything and join in on the fun! I love their jewelry, especially their necklaces. I might have to check out the factory site! Going to check out that website now! Those are super cute! Love it all! j.crew always has the nicest bling. Oh J.Crew... you kill me! 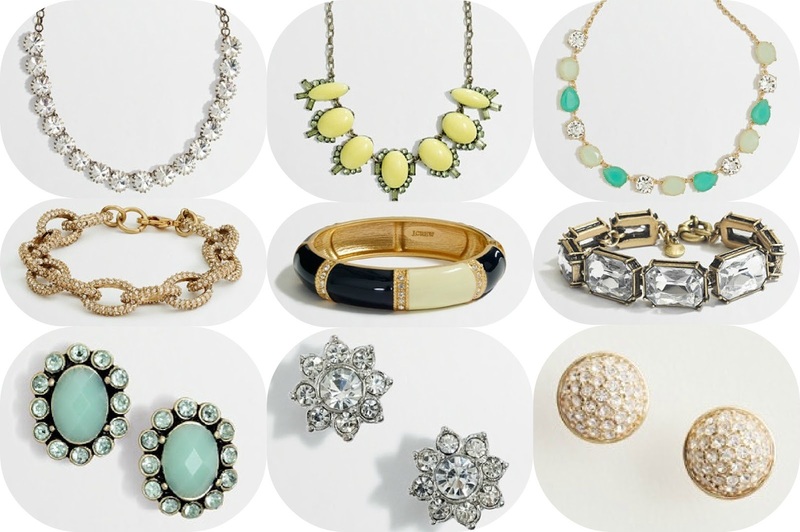 I love J.Crew Factory jewelry. I've gotten some really great pieces from them! Great picks!! Love those earrings!! Great blogging minds think alike!! ;) Haha. You'll have to check out our FF post when you have a minute. The factory is amazing and I adore that bracelet. 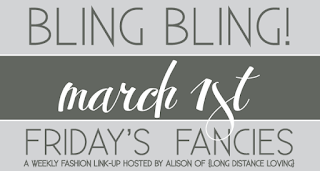 By the way I'm doing a link up next thursday March 7 on my blog. IT's about styling cobalt. Would love it if you joined. I am absolutely in love with the third necklace! The colors are gorgeous! I really wished those bracelets were silver...on the website. I looked at the website. Loving the earrings. :) All of them. Um, I didn't even know there was a JC Factory. BEHIND THE TIMES, party of 1. 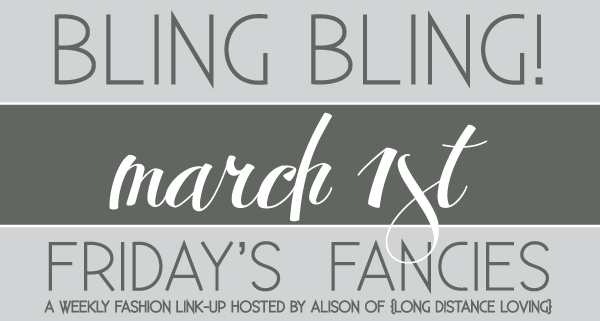 Have a great weekend, see you Monday for your linkup! Gorgeous! Can't pick just one! Totally want that yellow necklace! Oh my gosh I love those necklaces! I love jcrew factory, it can be quite dangerous! Oh my word, this may be your best post EVER. I love everything. I just got the email about your new post and the subject said "j crew factory jew." I just had to read about this factory that is pumping out more jews like me! Oh my goodnessss so much to be tempted by!! I didn't think that gold link bracelet would ever make it to the outlet, now I think I need it! j crew factory can be dangerous! I love J. Crew! I wouldn't mind going to the mall and getting some of these treasures! Those mint earrings are beautiful!! I couldn't agree more -- I'm a HUGE sucker for J. Crew factory jewelry! The first pair of earrings is adorable. i didn't know they had an outlet online either! love those necklaces! I love those fireball studs! !